A portrait of the current Israeli prime minister, one of Israel's more noticeable leaders in recent decades. Benjamin Netanyahu is currently serving his fourth term in office as Prime Minister of Israel, the longest serving Prime Minister in the country's history. Now Israeli journalist Ben Caspit puts Netanyahu's life under a magnifying glass, focusing on his last two terms in office. 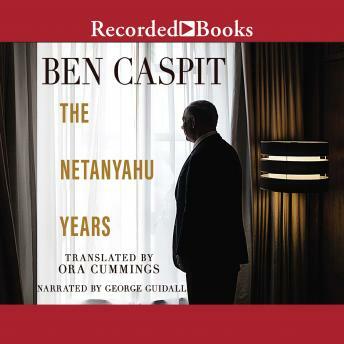 Caspit covers a wide swath of topics, including Netanyahu's policies, his political struggles, and his fight against the Iranian nuclear program, and zeroes in on Netanyahu's love/hate relationship with the American administration, America's Jews, and his alliances with American business magnates. A timely and important book, The Netanyahu Years is a primer for anyone looking to understand this world leader.